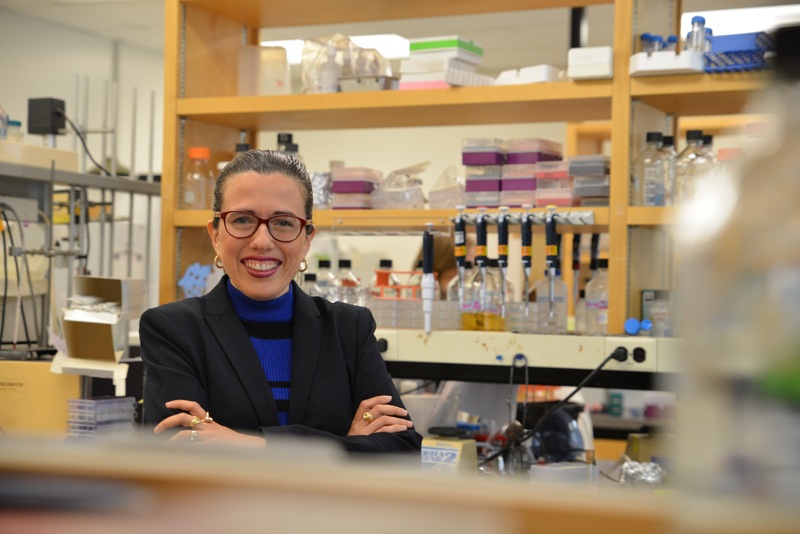 Our curator this week is Olga Pena (@OlgaPena), a research scientist working on sepsis at the Center for Microbial and Immunity Research & Sepset Biosciences in Canada. I discovered a passion for science thanks to amazing teachers in middle and high school, who inspired in me the love for science. I chose to work specifically in the fields of Sepsis and Immunology early in my career, due to great professors during my undergrad, as well as a profound personal experience, my father developing and dying from Sepsis. What keeps me in this field is my strong desire to advance the knowledge of sepsis immunopathology and translate it into useful tools that can help in the diagnosis and treatment of this condition. Sepsis is a dysregulated immune response to an infection. My work aims to obtain a better understanding of this condition, by identifying mechanisms that lead to the dysregulation of the immune system. During my PhD under the supervision of Professor Robert Hancock, I discovered new biomarkers that can assess this dysregulation at a very early stage. The use of these biomarkers will aid diagnosis and identify those at risk of complications or dead, leading to rapid and more precise intervention approaches. My PhD work laid the research grounds for the creation of Sepset Biosciences. I continue to work with professor Hancock on unlocking the mysteries of sepsis immunopathology and I am now in charge of managing Sepset’s international multicenter clinical study to validate our original findings. Sepsis is a very common condition, anyone can get an infection, and any infection can turn into sepsis. Yet, very few people know what it is. For example, in Canada, 71% of people have never heard the word sepsis. Moreover, every minute counts in Sepsis, arriving to the hospital on time to start clinical management, known as sepsis bundles, can save lives. Having said that, diagnosis of sepsis is difficult sometimes, especially at an early stage, when clinical symptoms can easily overlap with other conditions or when the clinical signs points towards sepsis, but the focus of infection can’t be found or the current diagnosis methods such as microbiology cultures, fail to provide an answer about the bug producing the infection. This lead to delay on starting appropriate clinical management protocols, increasing the length of hospital stays and the risk of ICU admission and eventually dead. With my research work, I intend to tap into these issues by obtaining a deeper understanding of the immunopathology of sepsis and develop diagnostic tools that will allow the early sepsis diagnosis and aid in predicting clinical complications. My main hope is that with these advances, no other sepsis patients have to go through the terrible and rapidly advancing complications of sepsis, and no other family have to suffer seeing their loved ones go through that experience. I do a great amount of sepsis awareness campaigning through different social media platforms. A few month ago, I also started educational sessions like Sepsis Tuesdays, where I explain in lay language the latest findings in sepsis research. I am a science mentor for high school, undergraduate and graduate students mainly from low and middle income countries, through different mentoring institutional programs or independently on my own. I am currently involved with the Canadian Science Policy Center, working on strengthening science policy mentoring and professional networks across Canada, as well as promoting the Canadian Science Policy Conference. My perfect day off is going out for a walk in nature with my husband and 5 year old son, where we have learn-through-play sessions. Whether it is to a local forest park, by the beach or to a farm close by to pick up ourselves fruits and vegetables for the week, we always have tons of fun! Please welcome Olga to Real Scientists!